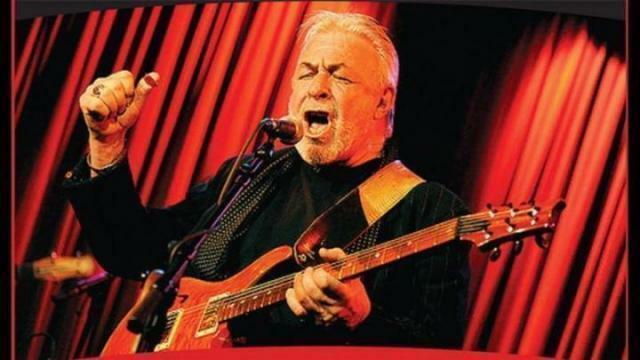 Legendary blues musician Jim Byrnes is hitting the Lester Centre stage this Sunday at 7 p.m. for the first time in Rupert since 2007. The year of 2016 is the Lester Centre’s 30th in operation, and general manager Crystal Lorette is ensuring the season starts off with a bang. Legendary blues musician (and actor) Jim Byrnes arrives at the Lester Centre stage in Prince Rupert on Sunday, Oct. 9 and he’s the first act in a packed 2016-17 season. Byrnes, who resides in Vancouver after growing up in Blues hotspot St. Louis, MO, has been playing for over 45 years and his sound is instantly recognizable, said Lorette last week. “He has evocative, smoky vocals that really come from a lifetime of experience [at the microphone] and he’s a great storyteller,” she said. Not only does Byrnes have experience playing with fellow legends like Muddy Waters and Robert Cray, but his stage presence is also electric, establishing himself as an experienced TV and film actor and appearing in such productions as The Jim Byrnes Show, Wiseguy and The Highlander. He has even lent his voice talents to animated hits like Beast Wars: Transformers, Stargate Infinity, X-Men: Evolution and Gundam Wing. Byrnes has won the Juno Award for Blues Album of the Year three times, won Male Vocalist of the Year in 2006 at the Maple Blues Awards and has been honoured multiple times at the Canadian Folk Music Awards. “You’re definitely not going to be disappointed by coming to see Jim Byrnes. He’s got a full band with him, so it’s not just him alone,” said Lorette. In his formative years, Byrnes grew up in the same neighbourhood where Ike and Tina Turner would perform regularly as a house band. He even performed at the opening of Prince Rupert’s Fairview Container Terminal when he played a musical tribute to Chicago and Memphis, two of the port’s popular destinations of cargo traffic. Byrnes hits the stage at 7 p.m. and tickets can be purchased at Cook’s Jewellers or the Lester Centre, or by calling and ordering over the phone at 250-627-8888. Season passes can also be purchased for a full six shows over the duration of 2016-17 for $100 for adults, or $50 for students aged five to 17.